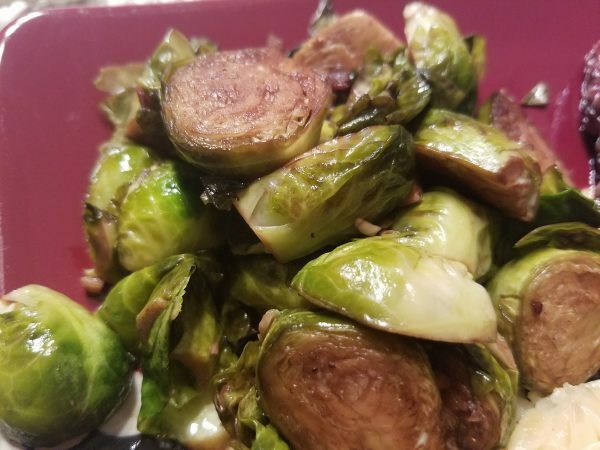 It wasn’t until my later 20’s that I discovered I actually liked eating brussel sprouts. My friend gave me a recipe to try, and after altering it, it’s now my go-to. 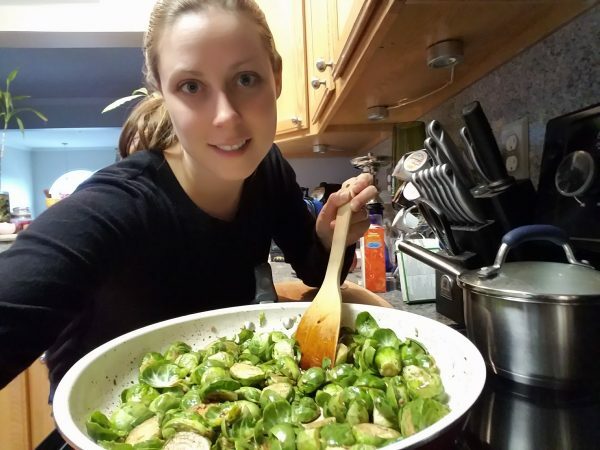 While I also like to roast brussel sprouts with other veggies, this recipe keeps them healthy, crunchy, and tasting like you never imagined! 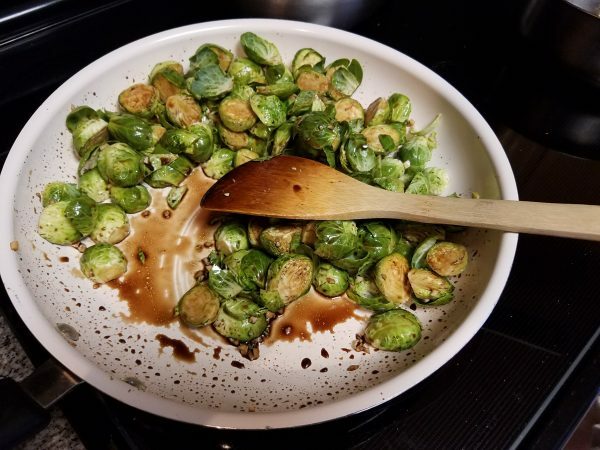 Discover how adding balsamic vinegar can transform the taste of brussel sprouts! Rinse clean your fresh brussel sprouts. Trim the end where it was attached to the stem, and cut them in half length-wise. 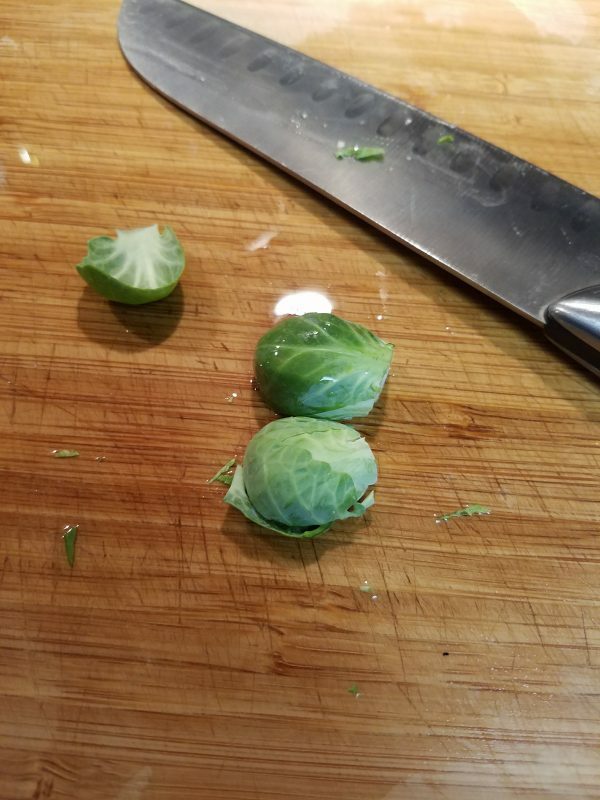 Throw out any leaves with yellow, keep leaves that separate from the sprout. Throw into the frying pan on the stove top. Finely chop garlic cloves. If you're in a rush, substitute with 1/2 T of garlic powder. Add to the pan. Sprinkle salt and pepper on the sprouts in the pan. 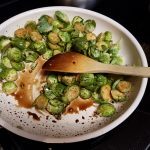 Add olive oil and balsamic vinegar to the sprouts in the pan and stir. You can allow this mixture to sit and marinate for up to 20-30 minutes. Continue to stir in that time to ensure all the sprouts are covered. Cook the sprouts on medium-high heat until the bright green of the sprouts begins to turn darker.